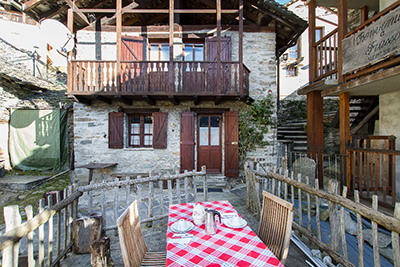 This is a very nice chalet, located in Frasso, a small Valsesian village (1000 mt. above sea level). It offers an amazing and panoramic view in full sunlight. It is the ideal place where to spend a relaxing family holiday (max 4 p.). Rentals start from a minimum of 3 nights, to weekly or monthly solutions. 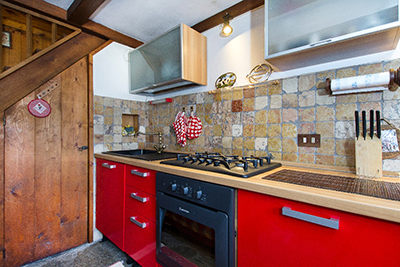 The kitchen is furnished with an electric oven, a small refrigerator and a 5-burners cooking range. There is also a small storeroom, located understairs. It is a fully equipped kitchen (pans, dishes, cups, etc.). The living room is furnished with a dining table with chairs, a convertible sofa and a satellite TV with DVD player. Just out of the door, a 10 sqm terrace is available for outdoor dining, with barbecue area and basement. In the basement: fridge with large refrigerator, washing machine. 2 bedrooms, a double one, and one with 2 single bunk beds. Both with direct access to the wooden balcony. 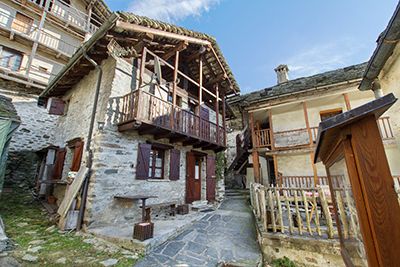 Frasso is an ancient village and its 30 houses are fully renovated. Due to the fact it is facing south, it offers a great panoramic view and it is also called the “Alp of the sun”. No cars are allowed in the village, you can leave yours in the parking (located at the entrance of the village itself). 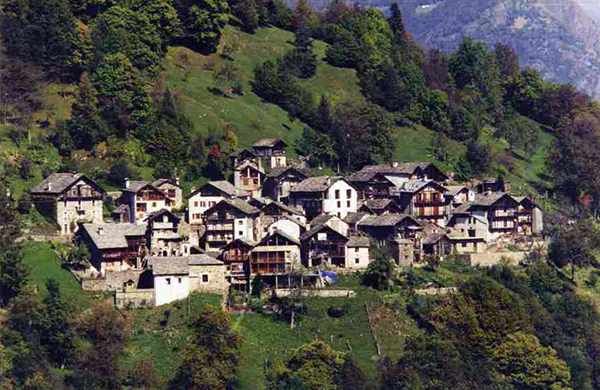 There's just one shop in Frasso, it's the restaurant (Ristoro), where you can taste the traditional Valsesian cuisine! Daily openings during summer, winter openings are limited to weekends or by reservation / request. You can drive to the village by a paved road starting from Ramello hamlet. It is a mountain road though, three Km. long and 4 m. wide (with several wider places to allow for two way traffic); you need to drive carefully! The road is kept clean all winter long by the communal administration, people use to live there all year long, but you need snow chains on board. 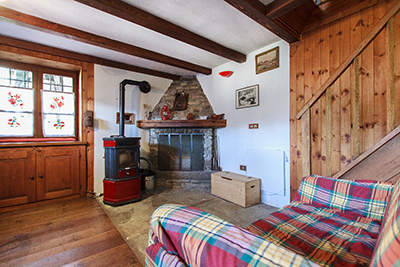 The chalet is polished in every detail, we ask to whom it may be willing to rent it to behave it like home! Small sized well educated pets are welcomed! The final house cleaning is excluded. 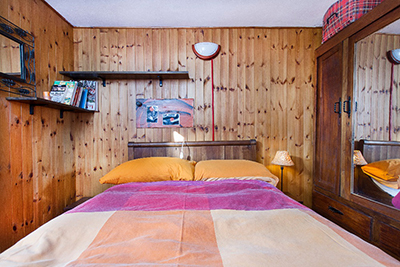 Maximum 4 p., a fifth bed is available on request (+ 20 Euro per night). Final cleanning is excluded (40 Euro). A deposit (200 Euro) is requested at your arrival. It will be completely refound before your departure (after a status check in the chalet). (This solution is available all year long, except during August and from December 15th to January 15th). Contact us for any further informations, prices and availability.